Cross belong on shoulders, not steeples. Assume the position for contraversy. The title alone does it. This blog by no means is meant to disrespect the church or the idea that steeples are in any way or reason wrong. This is based on a thought I had this week. In and around 300 A.D. when Constantine established locations set aside for the church to exercise corporate worship, he took the church out of its intimate, organic, communal setting of homes and public places. Church was the people, bound together in a committed love relationship with one another and the Lord Jesus. Merriment with food and fellowship, preaching and worship, and serving the world around them was just life lived out of this love community. Natural. Eventually the church coagulated inside of brick and morter, scheduled to meet, and isolated from the community they once served as neighbors. No longer are they walking in their midst (on mission), “going about doing good” as said of Jesus Christ Himself. Now we have become weekly isolationists awaiting the hour long gathering. How can we conitinue to feed, heal, and visit the downtrodden? We need to invite them to us! We need a sign, a beacon, a recognizable symbol. Aha, a cross! And we shall hoist it high enough, over atop all other buildings. Then the lame and halt can hobble themselves to us! Ladies and Gentlemen, how many friends are tearing the roofs off our churches to hoist their lame friends down inside for a miraculous healing? Jesus “went about doing good”. He positioned himself in community, often times traveling out of His way to do an act of good. He sent His disciples out to travel to the town in order to be blessings, commanding them to pray blessing of peace upon the houses they entered. He sent them to the highways and hedges- to the lame, the halt, the blind, the demonic- the lost. Each one baring their own cross to die upon as they loved their neighbor as themselves. Ok, here’s the thing…we need more martyrs and less celebrities. As a pastor, I can tell you, we are pressured to preach for numbers, not neighbors. We’ve confused missiology for methodology. Programs. Money. Most young pastors today have a seminary education…yet don’t have any training in a “tent making” trade. They know, without their church salary, they can’t survive. Believe me, that pressure. Pressures to perform,perhaps even emulate the “hot shot preachers” with the mega churches, skinny jeans, and book deals. It’s time we pull the crosses down from the steeples and place them on our shoulders. We cannot be the center of attraction, we must be the catalysts for missions. Deny yourself, your comforts. They will know you not for the size of the cross upon your steeple but the love you have one for another. By that, they will know you are His. And by THAT, He will be exalted and there will be no need to exalt a steeple. The crosses upon our shoulders are the crosses that feed the hungry, clothe the naked, and unshackle the bonds of the oppressed. They do it without church votes and church funds. They do it whithout others knowing or seeing. They do it in the spirit of the early missionaries to Asia and India, who carried all their earthly belongings inside their own caskets. They do it because the cross is love for their neighbor. Having the faith to walk upon the water. Peter was the only disciple willing to step out of the boat and do something no other human had ever done before. He walked on water. As the Lord Jesus bid him to come, in Peter’s mind, it must’ve seemed safer with Jesus on the waves than without Jesus in the boat. The other eleven disciples, huddled in fear and dismay, must’ve thought Peter was crazy to attemp such a thing. Isn’t it, however, what Jesus is bidding us all to do? The boat of “safety” is no place for a follower of Christ. He is calling each of us to live in such a way, that what seems safe, casual, or predictable is essentially more dangerous and degradating than the seemingly foolish actions of following him! I’m going to speak as one who has walked upon the water. I’m also going to speak as one who is currently standing on the water. What do I mean by that? Nearly a decade ago, I followed God in a vision to plant a church. I’d never done it. Heck, I’d never seen it done! With a wife and two babies at home, I resigned from a healthy, lucrative church position to step out of my boat of familiarity and comfort to follow Jesus into waves deeper than I had imagined. I resigned on a Sunday. I was jobless and homeless on Monday. That following morning I drove around looking for work and a home. I can tell you that in the days and years to come, as I found myself hanging out ouside of my boat, walking upon the waves of shear faith and dependance, I saw God move in ways I could never have imagined. The remarkable stories of Moses, Daniel, Elijah, even the disciples all became more real because for the first time, miracles in my life had become normal and regular. I identified with the feats and acts of biblical proportions that, up until tha point, I had only read in Sunday School lessons. It was that season of walking upon the water that gave me taste for that type of living, causing anything less in my life to become dissatisfying, to say the least. Fast foward to today. My family has again sensed a very real calling into a vision of God’s plan for our lives. Only this time, He is calling us out further, and deeper than we’ve ever gone before. As our family prepares for a new season of church planting, we realize that we are headed for deeper, shark infested waters. No longer we will have the familiarity of being indigenous to our surroundings, with family and friends to help us. We are moving miles away into a location where we know no one. Not a soul. We’re going to a place that is entirely different than what we are ust to, into an area of incongruent values and lifestyles. And, to do this, we have had to shed every piece of possible flotation devise. Behold, how God has called us to walk upon the water this time. We, in the recent months, have essentially paired down to the bare essentials. We started by selling our home, giving away the majority of our belongings, and moving into a 250 sq. ft. camper. Yes, this caused a circus type attention, whereby we became an oddity to our community. It got worse. We began to pair down more, and more, and more. Selling this…giving away that. And, so now, here we stand. Virtually nothing more than the clothes on our backs. We have commited to our church to go, having transitioned our leadership to function in a way as to send us as missionaries. It’s done. And also, having committed to our new location to come. I’ve broken my parents heart. The die has been cast. Our farm is sold. In a couple of days I will travel down and spend a week looking for a new home and a new job. As I am away, my wife and children will be packing our belongings, cleaning out the camper, and moving into a borrowed apartment owned by our church. By the time I return, we will be homeless. The foxes have holes, the birds of the air have nests…we will have no place to call our own where we may lay our heads. If the Lord doesn’t show up, we sink. THAT is the point. THAT is walking on water. THAT is what He has called us in to. We will either walk by faith or by sight. Faith saves. Sight sinks. Even as I write this, our decision has caused many friends to turn into distant skeptics. We are in a position of isolated abandonment. No longer do we have the friends, the family, the denominational support that we thrived in for so long. Many, or if not most, of them are still in the boat- looking at us with fear and dismay. Yet, we still hear our Savior bidding us to come. So how does it feel to be walking on the water? You want to know the truth? A little stressful. To think it would be otherwise is sensational and idealistic. This was Jesus’ warning about following Him. It is NOT easy. It’s timultuous. At times, persecuting. All the while, challenging to stay focused and faithful. There are times I feel myself sinking. Everytime though, that sinking is met with a pulling up from my Savior’s hand. It’s definitely a feeling of adventure and it most certainly has a faith building component. You may ask, “you’re walking on water, how much more faith can you have?” Well, I believe there is a exorbant jump in faith even after the time spent walking on water as we are returned back to the boat. You see, after Jesus settles us into a new life, with our needs met and lives blessed, we will then take a deep breath and cry out with the same excitatory relief as the disciples to say “Surely You ARE the Son of God!” We will look in hindsight and say, “Did we really just do that! ?” “Did you see what He did!” God, You REALLY are amazing!” That hypertrophic effect on our faith will initiate a spiritual growth as we’ve never seen before! I am glad to be walking on water at the moment. It is the greatest sense of adventure I’ve ever lived. Total uncertain certainty! He’s got this! He’s going to protect, provide, and press us on to greater things. I know this, because my eyes are not on the waves. They remain fixed upon Him, the author and finisher of my faith. So, I’m asking you, to where…to what is He bidding you to, that you might be forced to step in to – that will require you to leave all that is safe, comfortable, or familiar? What safety nets are you holding on to? How can you know faith unless you step out of your boat, and tread water under your feet? What trail runnning has taught me about leadership? Yeah that’s an odd sentiment, let alone a prfound starting point for a bolg. Sometimes my greatest profoundenty comes to me during the engagment of what otherwise may seem to be thoughtles endeavors. So i was trail running when this idea came to me. I bought my new pair of shoes. I threw on my running gear. I set my course. And it started raining. I hate running in the rain. So, I went to the Kentucky Coffee Tree instead…for a little while. After the rain stopped I ventured out and started my run. Only now, the trail was saturated with mud and slick spots. Trail running, as with life comes with unexpected circumstances. It may be circumstances that cause you to re-think timing and/or course. It doesn’t mean you have to quit or relegate yourself to anything less. If you keep yourself adaptible you can switch it up and keep moving. The thing about adaptability is that it means you may need to change with the changes. I drive a 4×4, sport a pretty grizzly beard, and raise chickens. That wasn’t always me. But, I planted a church in a community that this fits in. I had to adapt to the culture in which I was sent to serve. Apatability has saved me more than once. You don’t always have to change and adapt, yet you may have to be amiable. The difference? Adaptaion is a change, amiability is the ability to bend without changing. In trail running it’s important to know the course and the destination. If not you will soon find yourself lost and GPS’ing your way home. Know the destination, yet ALWAYS be ready with 3 steps to change your immediate course. I have bit the dust on occasions, albeit a rock or stump that went unseen in too little of time. This happens, But, in order to keep your pace, to keep your step and footing, be able to bend to the trail and terrain in order to dart and pivot as needed when these unexpected delimas show themselves. I have had my personality assessed on several occassions for certaon missions egncies that I’ve served with. The finding is alway the same. 50/50 intravert/extravert. What this means is, that given the occassion and the need, I am just as comfortable being the center of attention and life of the party as I am being the quiet loner, isolated from the crowd. I can lead in front or in back. I am able to do this becuase I am amiable. I can bend without changing. I’ll be homnest, I’ll drop a few dimes in good shoes. If I’m train running, I want a very specific brand, heel strike, sole thickness, toe guard, etc. Very different than my road runing shoes. The way that I train is very different as well. How I train and how a dress is in accordance with what I’m training for. My shoes are relevant to the terrain. I see a lot of people skipping relevancy for “practicality”. Example. I visited a church plant over the weekend. The new church established themselves in the deep urban, spray painted jungle of inner-Cincinnati. During the week they do a great job of engaging the community and byilding relationships. And then, on Sunday monring they attempt to stir awake the community with a cookie cut, traditional service. No one attends to their surprise. They’re not being relevant. They’re wearing slip ons and trying to trail run. Finf what fits for what you’re doing. Find what fit’s for what or who you’re trying to reach. Be applicable to the area. I could go on and on with parallels and metaphors to intersect my two great passions. That’s not the point. In the end, it’s about being a better leader, and being better at doing what you love to do. Sport and life, neither are unilateral. Take these few tips to help you circumvent your next venture and come out on top as a success instead of bitng the dust and dropping out. Why my family is givng away nearly everything we own; lunacy or liberty? I’m writing this blog in response to a spirit of bewilderment among my community and people who know me. I’ve been asked if I’ve lost my mind. Why? Because I’m giving away most of what I own. On the surface, that seems like lunacy. Even the thought of it makes me chuckle. Yet, with the proper backstory there may be some explanation, though, I can’t insure any more understanding. My wife and I have been married for 15 years. For 15 years we’ve lived under the remorseful and shameful position of debt. Some of it was not our fault, most of it was. We pay our bills and survive and call that living. We have come to the conclusion that that is not living. We’re missing out on freedom. Freedom is living. We’re missing out on life experiences. Experiencing life is living. We’re missing out on the opportunity to bless others. Blessing others is living. And so, we took a huge leap of faith and decided to sell our home of about 1900 sq ft and down size into a 250 sq ft space. Even with this adjustment, we will still have running water, electricity, heat, air, fridge, stove, and satellite television! We’ll still be living better that 2/3 of the rest of the world. With this move we CANNOT take all our stuff. Stuff…that’s the point of this blog. Our stuff has never brought us happiness. We’ve accumulated it, piled it up, shoved it in storage, tripped over it, and regretted it. Our treasure is just not in our stuff. Now, I’m not against having stuff. That’s just not where our sense of happiness is derived. So we made the decision to give it away. And this decision has caused so many to question us and even criticize us. 1. We don’t need it. What need do we have for 3 bedroom suites in a camper? Why would we hang on to things that we would only have to pay someone to store for us? THAT, to us, is lunacy. 2. Others have a need for it. Aaron is a young man. He’s a recovering heroin addict with a wife and a baby on the way. He is working hard at his recovery and finding his little family a house. The baby is due any day now. Aaron and his family had a need for our stuff. As he drove off with a pickup truck and tailer full of our stuff, he was teary eyed at the way God had generously provided for him. 3. I am raising world changers. My sons are 12 and 10. What they see in their mother and I are considered Gospel truth in their eyes. At this moment in their lives, we are making indelible marks that will shape their character and life choices forever. It’s important to us that they learn charity, love, grace, mercy and hospitality now, and to see that in us (the way that I saw it in my parents). We want them to see that we live by faith not by sight. 4. We our now investors- not spenders. Jesus warned against laying up treasure on earth where rust and moth corrupt or thieves steal, but to ‘store up for yourselves treasure in Heaven.’ We wake up every day considering how we might make eternal investments. As Emperor Titus would exclaim at the end of the day, “I have wasted today!”, if he felt he’d not blessed someone that day…we count our days, and lives a loss if we’ve ended it still full of out “stuff” and have not blessed someone else. Our treasure is on Heaven. 5. We are followers of Jesus. We read the red letters in our Bible and take Him at His Word. We follow Him, not American consumerism and aquire-ism. Where is the confusion and how can that be misinterpreted to mean only things of little value? So, it’s ok to give little, but things of value? Lots of things of value? Big things? Well, yes, all of it. I’m not monastic. I don’t believe any holiness or righteousness is accredited to me for living modestly or giving things away. For what? To buy more stuff? Well you’re going to have needs of your own. My God has met every need I’ve ever had, He continues to do so daily. Why would He stop? My debt is from the moments that I failed to trust Him and got ahead of Him. Our devotion to follow Jesus Christ and His teachings has created in us very personal convictions. These convictions lead us to do very odd things as far as Western Civilization is concerned, which sort of out of congruency with what Scripture actually teaches. 27 Do not withhold good from those to whom it is due, when it is in your power to act. Perhaps I’ve lost my mind. I feel like I’ve gained my heart…and freedom. How to break your kids sugar addiction? Make grandma out to be a drug dealer. It’s a natural tenency, heck, even a right for every loving grandma to want to lavish their grandchildren with decadent sweets. My mother is no exception. She loves to sweeten up her two grandsons every chance she gets. If you know me, you can already sense the problem. I preach atop a very sturdy pedastool of anyi-sugar rhetoric. My mother supports my claims, sympathetically understands and agrees, yet still attaches to this desire to divvy out candies, sweet, and desserts. This week she has offered to bake the boys a chocolate cake. Sugar as we know it has destroyed the lives of countless folks by subjecting them to diabetes, heart disease, mentally degenerative diseases, hormonal abnormalities, nueropothies, obesity, and death. This is fact. It is the white drug of the 20 and 21st Centuries. Unlike heroine or meth, sugar has and shotgun effect. You don’t know how it’s going to show up. Will it be diabetes? Cancer? We won’t know until it happens. What we do know is, something dreadful WILL happen. It starts with a pleasant flavor, then a craving for me, then an addiction to it, followed by the cause of it. Back to grandma. I love my mother and I stay consistent in educating her on sugar and diet. I’ve helped her to address some of her own issues, as well as my dad who deals with pre-diabetes. Yet I will never be able to entirely stop her desire to bless her grandsons with sweets. She is well intentioned. So I concocted a new plan. I sat the boys down and talked to them about drugs. We’ve had many of these conversations in the past. They are well educated about the dangers of drug use. I began to pose 3 characteristics about drugs; 1.they damage the body. 2. they are addictive. and 3 they change your behavior. If something fits this catagory, is it a drug? Their response, “absolutely,yes”. As we have all agreed drugs are bad and unwelcomed in our body. At that point I began to show them that sugar shares all 3 characteristics of a drug. Sugar damages our bodies in horrible ways, leading to death. 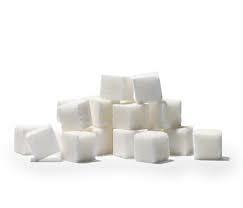 Sugar creates serious addictions that are difficult to break. Sugar alters our moods and personalities (which we joke about via Snickers commercials). In one fell swoop, I just destroyed their desire to have sugar. They sincerely understand and have made a decision. They are willing to turn down this new drug. Now, I didn’t say they don’t want sweets. That’s not the same. I too enjoy sweets. What I’m teaching them, though is alternative sweets. Stevia, erythrotol xylotol. They get to enjoy amazing cookies, cakes, and candies made from almond flour, and natural sweeteners. I’m healthy, I’m not a jerk! They choose these foods over sugary drugs. And, my kids eat healthy and I don’t have to hurt grandma’s feelings. In conclusion let me give you a guilt trip. Are you a drug dealer? Are you freely handing out drugs to your kids? I’m sure you’re not. You love your kids and you strive to protect them. However, you need to look at sugar for the drug that it is. If you would never give your child drugs, for reasons I’ve listed, why would you keep feeding them sugar? Check out my interview with one of the coolest guys I know, Curtis Woods. In this podcast, we go deep into some of the issues affecting leaders in the ministry. Curtis is totally passionate about helping others reach optimal spiritual and physcial health. Abs in winter? The secret to a revealed 6 pack all year long. Tonight while I was walking around the house shirtless, my youngest man cub walked up to me and started poking my stomach. “One, Two, Three, Four…” he was counting my six pack; though right now it’s more of a four pack. The oddity of this is that it is mid-January. Not even body builders have six packs now. Normally winter months provide a season of shortned day light, less moving, more eating, bears hybernating, and me adding an extra layer of fat to my mid-region. Granted, I have added a little, yet still showcasing a very visable outline of my transverse and rectus abdominus. I just recently listened to Arnold (if you need a last name youre on the wrong blog) on a podcast the other day state how the attempt to keep a year round six pack will drive you insane. I could see that. If you constantly have to work at it and fight for it, it would drive anyone insane. They are easily the hardest muscles to keep uncovered. My secret, though, is that I don’t really try to keep a six pack. I try to stay on point with my diet and helath, and like a cascade effect, everything else falls into place. But antedotically speaking, let me give you my training plan for keeping a low body fat percentage during the most difficult time of the year. I eat fat to lose fat. I drop my carb intake which lowers insulin, and I increase my fats. Insulin is the hormone at the wheel of the fat storing car that drives fat retention. I eat until I’m full of foods that I love, that are nutrient dense, and full of healthy fats like grass fed butter, coconut oil, and olive oil. I eat only anywhere between 4 and 6 hours every day. Leaving myself with a minimal 16 hour fasting window, my body has the opportunity to reset crucial hormones, enter a fasted state of fat burning, and upregulate ketone production. The majority of the day I’m just burning fat stores as fuel. As an added bonus, fasting has been proven to increase testosterone and Human Growth Hormone, making adding muscle much easier. 4. I man up to the cold. I don’t let the weather dictate whether or not I’m going to work out. Even though my crossfit happens to be in a heated facility, my running still takes place in the frozen tundra that is my local running route. My beard gets ice cicles hanging from it on occasion. I refuse to let uncomfortable conditions stop me from moving . 6. And lastly, I lift heavy things. I dump loads of muscle glycogen for fat burning and hypertrophy. Building lean muscle mass is vital for increasing metabolism, burning fat, and regulating healthy hormone production. It doesn’t take much, just a couple or 3 times a week; bench, squat, deadlift with some added accessory lifts, overhead press, curl, dips, lunges. These things have just become natural routine. I don’t stress it, and I don’t beat myself up at keeping up with it. And, for all of that being said, I get to enjoy (at worst) a 4 pack of abs in mid-January, without driving myslef crazy trying to. Which at best, leaves me closer toward summer to go ahead and lean into a ripped physique without much work. I’m excited to announce that we are now published to iTunes! I’ll be building this content with more topics and interviews that will be sure to encourage and challenge you to live better. Head on over to iTunes and give me a 5 star rating! That’s literally what it takes to get the word out and YOU can help do that.